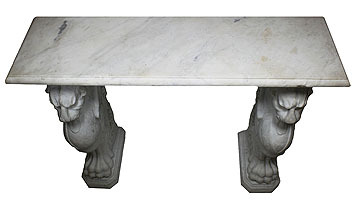 A Large Italian 19th Century Neoclassical Revival Style Carved Carrara Marble Figural Wall Console Table. 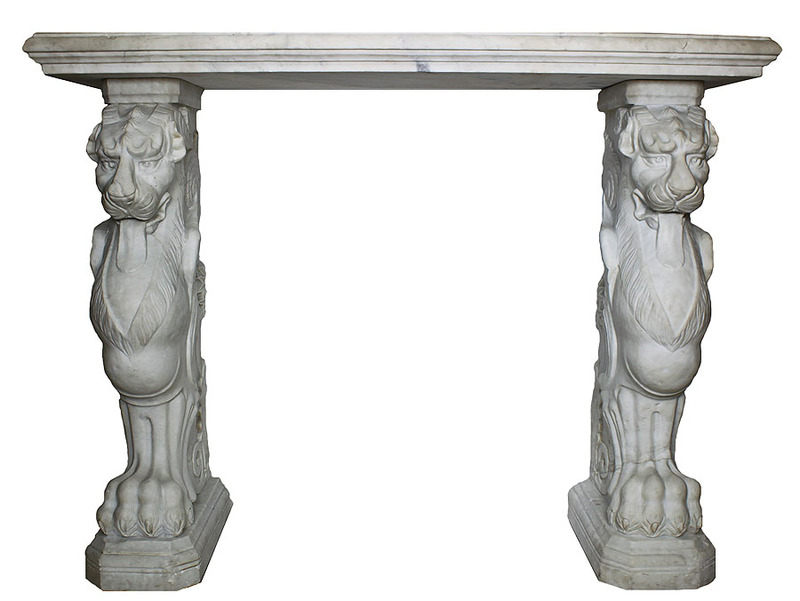 The rectangular marble top supported by twin Roman carved marble monopodiums of winged chimaera lions forepart on lion legs with paw feet. 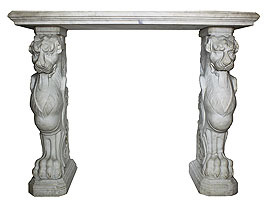 This console may be also adapted to be used as a fireplace mantel. Circa: Rome, 1880.